Government backs bill guaranteeing wives of yeshiva students sick days off for children. 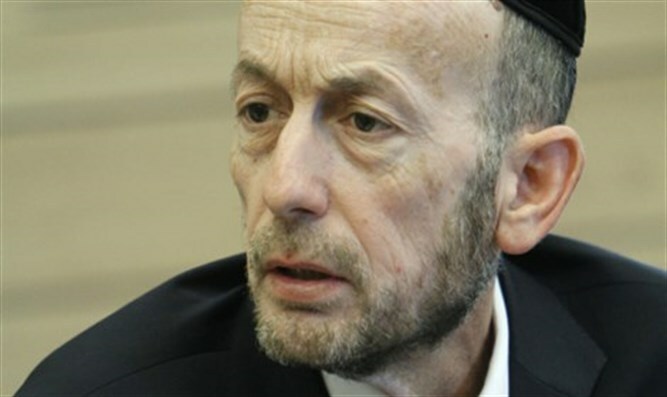 The Knesset's Ministerial Committee for Legislation on Sunday approved a bill pushed forward by UTJ MKs Uri Maklev and Moshe Gafni to recognize married yeshiva students and college students as working spouses with regards to sick days. The bill passed despite the opposition of the business owners' organizations, which protested the high financial price such a move would have for businesses owners. Currently, each employee is entitled to eight children's sick days per year, on condition that his spouse is working that day and that he signed a special document. Yeshiva students and college students do not work, and therefore their spouses did not receive sick days for the children. "We wanted to fix an injustice," Maklev said. "It cannot be that a person is learning in a Torah institution or for his degree, and he is not allowed to be absent, but his wife does not have sick days for their children." "There's an inherent discrimination in the status quo. A person who is studying in a Torah institution is not unemployed. Saying they are unemployed is discriminating against the Torah-learning public. Each person who works should receive the full number of sick days, and there's no reason why someone who is learning should have to stop learning to take care of a sick child."